Home > TEAS>Black Tea "Broken Leaf"
Black Tea "Broken Leaf", produced in the island of São Miguel by Gorreana Tea Factory. Bag of 100 grams. The tea factory Gorreana is the oldest tea factory in Europe (1883). It is located in the place of Gorreana on the island of São Miguel. Some scholars maintain that the "Camellia sinensis", plant that produces the green and black teas, was introduced in San Miguel in 1750, transported by ships returning from the East. The clay soil and its acidity allowed to obtain a fragrant tea and pleasant aftertaste. The tea produced in Gorreana is a green product, free from pesticides, herbicides and fungicides. Tea made from the third leaf of the plant's sprout. It has a light copper color and a fruity flavor. 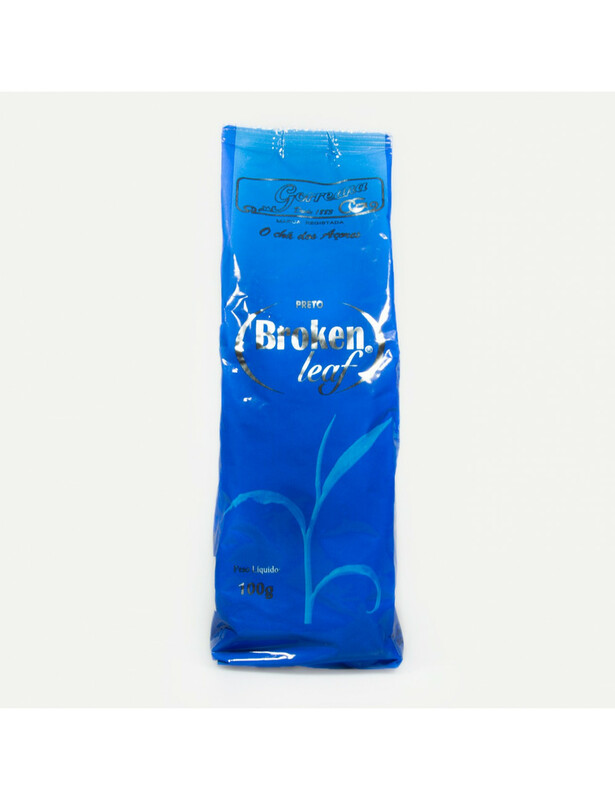 Compared to Gorreana's other black teas, Broken Leaf has the lowest amount of theine.